Daughter just received More…her Masters in Nursing and is now a Licensed Nurse Practitioner. Yes...I am as proud as a father COULD be, especially since she did not graduate high school. Joined the Army late in 72. Had an absolute blast in Bayreuth, Germany and went to the REAL Octoberfest. Visited Austria several times...beautiful country! Went to 3 different colleges. Never settled on one occupation. Lived in Tulsa as a portrait photographer where my daughter was born. Lived all over the DFW area. Moved to Cedar Rapids, IA in 1992 where I worked for MCI as a Software Quality Assurance Analyst. Moved to San Antonio in 2001 where I currently reside. I've owned Dive In Pool Service & Repair for 7+ years now and was talked into going back to SQA with Whataburger in 2012. I've been a high school football referee since 2002, President of CYO at my church and Zone Vice President. Purchased my retirement condo on South Padre Island in May 2018. Started a COMPLETE renovation shortly after and finished it in October. We'll be renting it out for 3-4 years (except during Spring Break) or when I get tired of working...Look for it: Aquarius condos, 2000 Gulf Blvd. #707. Pretty quiet, shy and bashful. 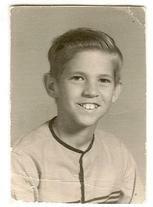 Before I moved to Texas in 1962, I received an adults bottom lip because of a growth. My body didn't agree with my desires to play sports and I didn't grow until after HS. (I went from about 5'8" 140 to 6'2" 185 by the time I got out of the Army.) HS was a time for experimenting and I grew my hair out, started smoking out at the "lounge" and other things. I've never been one to NOT try something new. I had more Pearce friends AFTER graduation than I had while at school. I was one that just never really fit in with any one group. Probably my independence which increased over time. But I've learned since then that God has a plan for all of us whether we acknowledge it or not. 2 brothers and 3 sisters...Earl Jr., Davey, Darlene, Marilyn & Carla. Earl probably doesn't want me saying this, but he has been battling cancer for the last 2 years. We never know if the next step is forward or backward. Mom passed away 8/6/2013 at 91 and my Dad passed away 2/7/2007 at age 84. 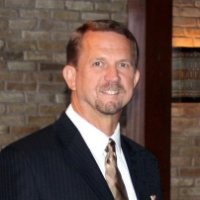 Mike McWilliams updated profile. View. Mike McWilliams has a birthday today. Mike McWilliams changed "Then" picture. Mike McWilliams added a photo to profile gallery.